Seize the deal before it’s gone. 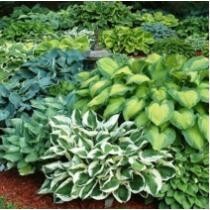 Check out 63% off Gardening4Less Hosta Perennial Mixed Bare Root Plants 2 Pack at Woot! now. Find more discounts and offers from Woot! just at CouponAnnie in April 2019. Seize the deal before it’s gone. 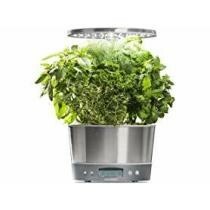 Check out 44% off Aerogrow AeroGarden Harvest Elite 360 at Woot! now. Find more discounts and offers from Woot! just at CouponAnnie in April 2019. Seize the deal before it’s gone. 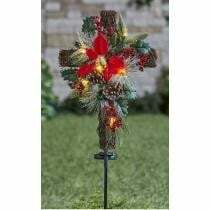 Check out Solar Lighted Christmas Cross Stake Now $16.98 at Lakeside Collection now. Find more discounts and offers from Lakeside Collection just at CouponAnnie in April 2019. Seize the deal before it’s gone. 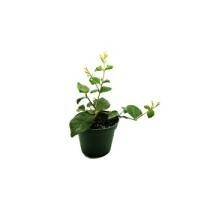 Check out 60% off Amazing Jasmine Maid of Orleans, Arabian Tea Jasmine Live Plant at Groupon now. Find more discounts and offers from Groupon just at CouponAnnie in April 2019. Seize the deal before it’s gone. 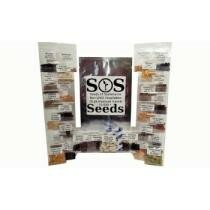 Check out 49% off SOS Garden Emergency Survival Seed Kit at Groupon now. Find more discounts and offers from Groupon just at CouponAnnie in April 2019. Seize the deal before it’s gone. 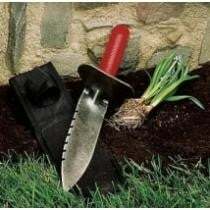 Check out 17% off Professional Gardener's Digging Tool at Garrett Wade now. Find more discounts and offers from Garrett Wade just at CouponAnnie in April 2019. Seize the deal before it’s gone. 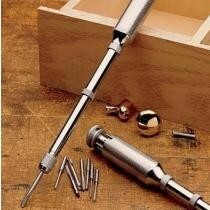 Check out 33% off Garrett Wade Push Drill at Garrett Wade now. Find more discounts and offers from Garrett Wade just at CouponAnnie in April 2019. Seize the deal before it’s gone. 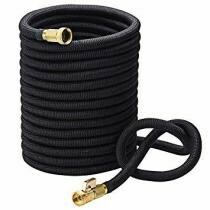 Check out 60% off Upgraded Design Premium Expandable Garden Hose w/ Brass Connector at Groupon now. Find more discounts and offers from Groupon just at CouponAnnie in April 2019. Seize the deal before it’s gone. 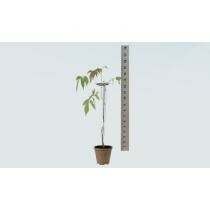 Check out 33% off Wisteria Flowering Vine Biodegradable Potted Plants at Groupon now. Find more discounts and offers from Groupon just at CouponAnnie in April 2019.
with Water Connector Adaptor & Connector. Seize the deal before it’s gone. Check out 15% off 2-in-1 Cultivators Tool Gardening Planting Digging Non-Slip Rubber Handle Iron Hoe Rake at Sunsky Online now. Find more discounts and offers from Sunsky Online just at CouponAnnie in April 2019. Seize the deal before it’s gone. 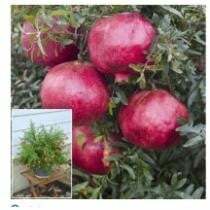 Check out 30% off Dwarf Pomegranate Plant at Gurney's now. Find more discounts and offers from Gurney's just at CouponAnnie in April 2019. Seize the deal before it’s gone. 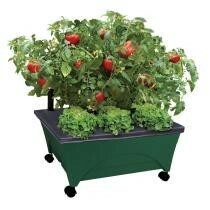 Check out 40% off Harvest Wi-Fi 6 Pod Garden at AeroGarden now. 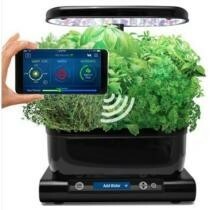 Find more discounts and offers from AeroGarden just at CouponAnnie in April 2019. Seize the deal before it’s gone. 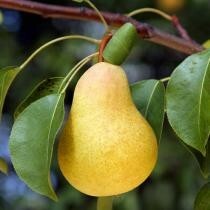 Check out 25% off Kieffer Pear Tree at Fast Growing Trees Nursery now. 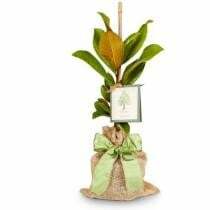 Find more discounts and offers from Fast Growing Trees Nursery just at CouponAnnie in April 2019. Seize the deal before it’s gone. 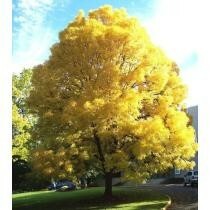 Check out 10% off Patmore Green Ash Tree at Fast Growing Trees Nursery now. Find more discounts and offers from Fast Growing Trees Nursery just at CouponAnnie in April 2019. Seize the deal before it’s gone. 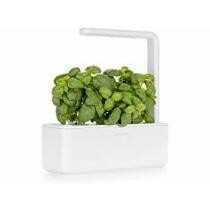 Check out 40% off Click & Grow Smart Garden 3 Indoor Gardening Kit at Woot! now. Find more discounts and offers from Woot! just at CouponAnnie in April 2019. Seize the deal before it’s gone. 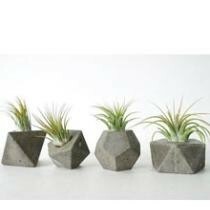 Check out $29 Rustic Concrete Geometric Planters 4 Pack + Free Shipping at Tippit now. Find more discounts and offers from Tippit just at CouponAnnie in April 2019. Seize the deal before it’s gone. 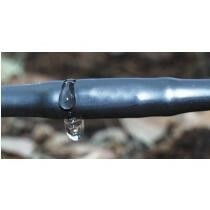 Check out 10% off 6" 500' Rolls of 1/4" Soaker Dripline at Dripworks now. Find more discounts and offers from Dripworks just at CouponAnnie in April 2019. Seize the deal before it’s gone. 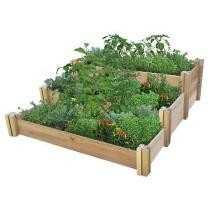 Check out 31% off Multi-Level Rustic Raised Garden Bed at Sam's Club now. Find more discounts and offers from Sam's Club just at CouponAnnie in April 2019. Seize the deal before it’s gone. 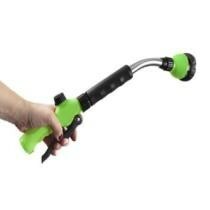 Check out 15% off Multi-Function 18'' Hose Nozzle Wand at Alphabet Deal now. Find more discounts and offers from Alphabet Deal just at CouponAnnie in April 2019. Seize the deal before it’s gone. 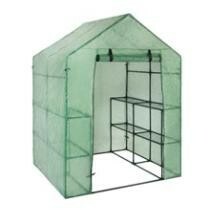 Check out 61% off 3-Tier 8-Shelf Outdoor Greenhouse + Free Shipping at Best Choice Products now. Find more discounts and offers from Best Choice Products just at CouponAnnie in April 2019. Seize the deal before it’s gone. Check out Up to 47% off 6-Pk. 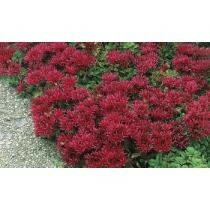 Red Creeping Sedum Potted Plants at Groupon now. Find more discounts and offers from Groupon just at CouponAnnie in April 2019. Seize the deal before it’s gone. 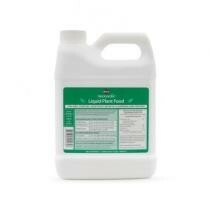 Check out 30% off Liquid Nutrients at AeroGarden now. Find more discounts and offers from AeroGarden just at CouponAnnie in April 2019. Seize the deal before it’s gone. 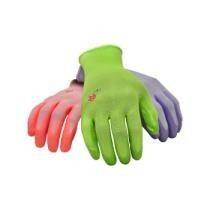 Check out 86% off Women's Gardening Gloves 6-Pack at Groupon now. Find more discounts and offers from Groupon just at CouponAnnie in April 2019. Couponannie features a carefully picked selection of Lawn & Garden deals 2019. To stretch your dollar even further, start taking advantage of Lawn & Garden discounts now. 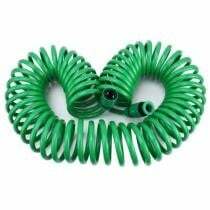 On this Lawn & Garden deals page, you can easily narrow your search and get the best deals by category, store, brand and price. There's a nice picture of each product and key discount information, including the original price, sale price and price drop percentage that tell you whether this deal is worthwhile. Check these Lawn & Garden deals and be a smart shopper. 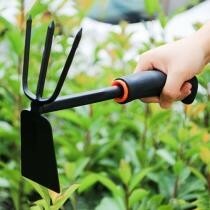 Here at Couponannie, we have compiled a list of Lawn & Garden products with huge price, including Gardening, Landscaping, Lawn Care, Pest Control, Lawn Mowers & Outdoor Power Equipment, Garden Chemicals & Treatments, Hydroponic, Water & Soil Testing Equipment, Snow Removal, Aerators, Chain Saws, Chipper Shredders, Fencing, Generators, Hedge Trimmers, Lawn Mowers, Leaf Blowers, Line Trimmers, Log Splitters, Outdoor Storage, Outdoor Supplies, Parts & Accessories, Pressure Washers, Riding Mowers & Tractors, Tillers & Cultivators, Tractor Attachments, Watering Equipment, Yard Vacuums, Gas Snow Blowers, Electric Snow Blowers, Attachments, Snow Shovels, Lawn Tractors, Yard Tractors, Garden Tractors, Zero Turn Tractors, Craftsman Pro Series, Self-Propelled Mowers, Push Mowers, Electric Mowers, Reel Mowers, Craftsman Mowers, Resin, Steel, Greenhouses, Deck Boxes, and many more. Make sure you take advantage of Lawn & Garden coupons and deals to save the most. 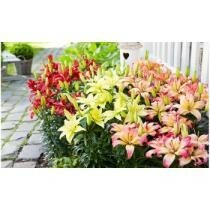 Moreover, you can use our Lawn & Garden deals for your favorite stores as we partner with most online retailers, like Gardener's Supply, Stark Bro's Nurseries, Bluestone Perennials, Wayside Gardens, Johnny's Selected Seeds, Direct Gardening, Fast Growing Trees, American Meadows, Spring Hill Nursery, Park Seed, White Flower Farm, Arbico Organics, EarthBox, Nature Hills, Gurneys, Garden, Bachman's, Heirloom Roses, Territorial Seed Company, Uncle Jim's Worm Farm, FarmTek, Kinsman Garden Company, EDEN Brothers Seeds Shop, Jung, Logees Tropical Plants, among many others. If you shop online, make sure you read the return and exchange policies on retailers' sites. And to make sure you're getting a good Lawn & Garden deal, search Couponannie for a coupon code or promo code that will let you save some extra bucks. But exclusions may apply sometimes, and discount applies to selected products or categories. Read them carefully, too. Avoid the hustle and bustle of the mall by shopping through Couponannie. Use our Lawn & Garden deals 2019 to find the best deals of the day on thousands of items at every store.